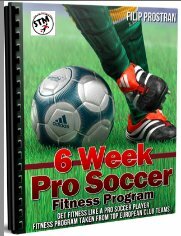 Learn about the process from pro's like me that have gone through it themselves and played in some of the best soccer leagues in Europe. All you need about getting there, performing there and staying there once on a trial. I've been there and I know what pro trials are all about worldwide and the knowledge you will learn about them here will help you to be successful wherever football takes you. 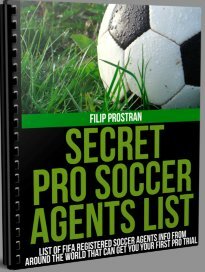 Advice from professionals who have played in the 1st Division in Europe, signed professional contracts after being on trial and played against teams such as Benfica (Portugal), Shamrock Rovers (Ireland), Red Star (Serbia), Partizan (Serbia), Tigres (Mexico) as well as several National Team Sides. Whether you are currently playing with a club, academy, college or haven't yet found one of those and your dream is to one day play professionally then it's important you know the path others have taken to get there. Perhaps you want to join some of Europe's best professional youth soccer clubs then you're going to need to know what it's really all about. Just like creating anything unique you can take experiences and advice from others and add your own personal spin to it to make it truly unique. Whether it's following the path others have taken or taking the path less traveled it's important to remember that nobody gets anywhere without some help, actually a lot of help. How do I get Professional Soccer Tryouts? I'm Done High School or College and I Wanna go Pro! Good Soccer Agents vs Good Player, Better to be Good or Have Good Representation? Soccer Tryouts in Europe, Are All Clubs the Same? Trial Didn't Work Out This Time, Now What? Got A Specific Question? Contact A Pro and have all your questions answered personally! This is what this resource is here for, so you can get the most knowledge possible on your road to getting some professional soccer tryouts lined up and ultimately signing your first contract. Learn about the process from pro's that have gone through it themselves. All you need about getting there, performing there and staying there once you have taken the proper path to setting yourself up for success at professional soccer tryouts. Getting a trial or match where scouts can look at you is only half the battle. The process of getting professional soccer tryouts can also be a very tiring and frustrating process, especially if you don't follow the steps above. Getting an agent and following the successful path myself and others have taken on getting to the professional level is the way to acheive your dream. The situation and culture of a trial you go into is also extremely important. 1) You're not their to make friends, you are thier to make a team, make friends after you've signed. 2) Play and carry yourself as if you are the Captain of the team you are trying out for. 3) Don't play passive or safe. Let it all out there, every moment every play. 1) Trying to play safe and not make any mistakes just trying to fit in. 3) Successful or not, taking something from the experience to help you for the next time. You will find after being to a few trials over time that performing well is just a piece of the equation. Coach's and scouts have certain criteria and things they look for when deciding if a player is the right fit for thier particular team. 8) Worth the risk if you have not proven yourself on the professional stage as of yet. All of these factors and others work hand in hand in determining your worth to a professional side. Rejection can a be a difficult pill to swallow sometimes but it is important to always take something out of the experience and build on it. Don't fall into a depression if things don't work out, I've been there, use it as fuel for the fire. A coach once told me "nothing passes you by that was coming for you". I'm good enough but how do I get a trial? If you've ever said this to yourself and if a trial is the only thing keeping you from your dream of signing with a big club then you've come to the right place to bridge that gap. Smart people learn from thier mistakes but geniuses learn from others mistakes, and professional soccer tryouts are full of mistakes and lessons to be learned.